Long suspension bridge on sea. 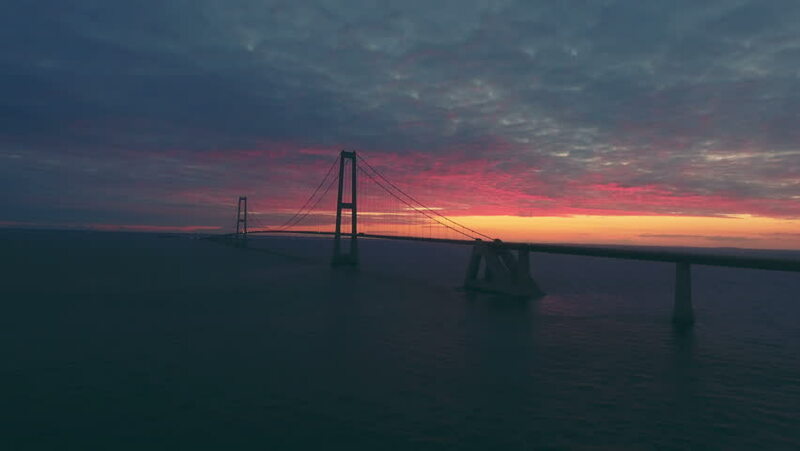 Evening view of large cable Storebaelt bridge in Denmark. hd00:22San Francisco Bay Golden Gate. Golden Gate Bridge at sunset. Golden Gate Bridge over San Francisco Bay. Cars drive over bridge.